Well....I've finally made up my mind to do it this Spring. I'm going to remove the A/C compressor and peripherals from the '83 and rid Nimbus of the excess poundage. It never worked right. Was noisy. Rattled. And just looked like the cobbler's job that it obviously was when originally installed by the dealer. Oh, did I mention that it's that big, ugly York compressor that sits on the top of everything, laughing? Not the smaller round Sankyo/Sanden units that look like they kinda belong. Here's the dilemma: I've read the many tutorials on removing the compressor, locating the mystery bolt that holds the timing cover in place, shimming the alternator pulley, replacing the now-too-long bolts in the water pump, BUT these instrux all seem to deal with the removal of the Sankyo/Sanden units. Nothing, that I could locate, dealt with the dealer-installed York unit. So, as a call to anyone who's actually done it, is the technique the same? Are there any different parts (like belts) that I need to source? For some reason, I vaguely recall the mention of the need of some kind of bracket from an old VW Fox (If so, won't THAT be fun to locate?). Or, if there's a step-by-step out there, any lead would be appreciated. 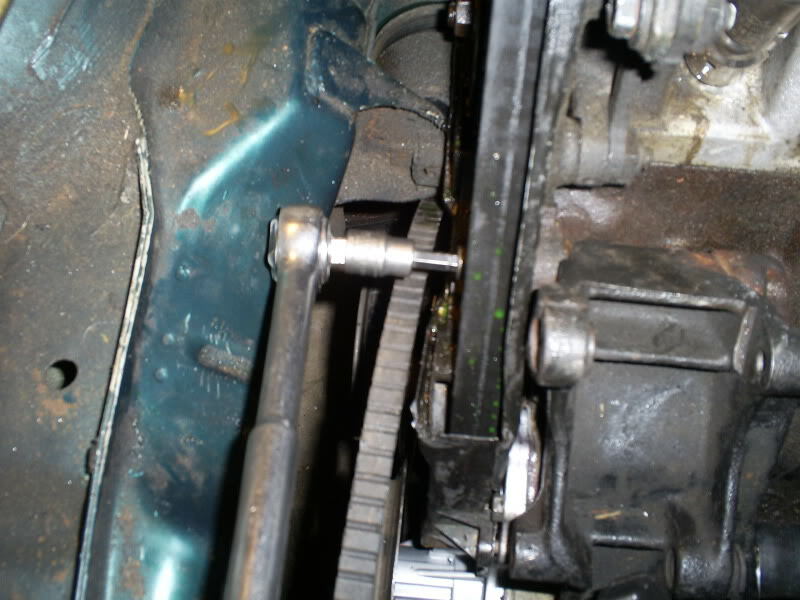 I know that the York Compressor used shims on the Crank pulley to adjust the tension of the belt. 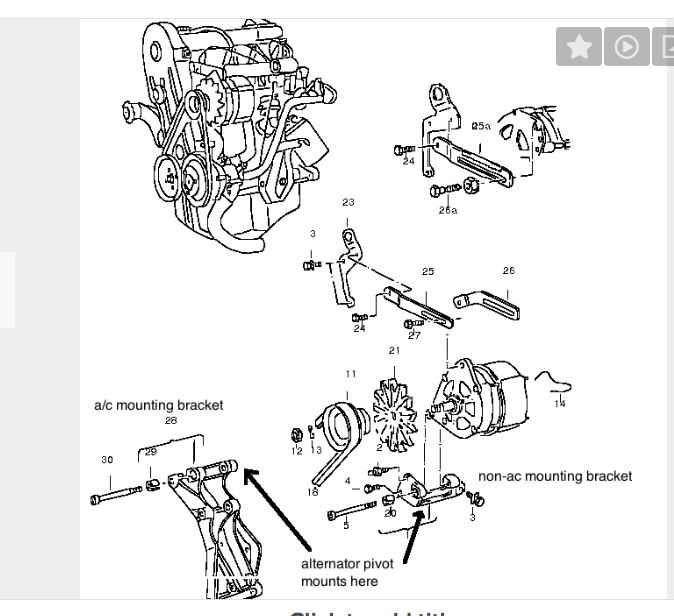 And I have seen folks use the bracket off the block of a newer style engine ie: 85 or so cabby that is at the top of the engine to mount the alternator too, as well as others who have Cut down the older Sanden mount. I suspect that if you do an internet search or look at the vwvortex (golf1) there may be some who have done it. I guess I was lucky as the 81 Diesel that I bought new had a Sanden on it as well as my 90's Cabriolets so that is all I know first hand, and until I started to look for Cabby parts I didn't know about the "York" style until the early 2000's. 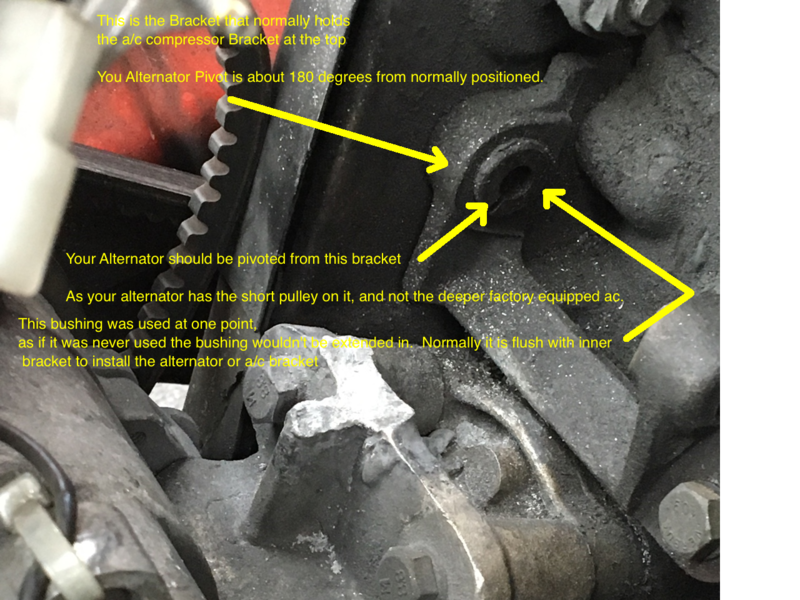 Also by shimming the rear of the alternator in the bracket you will not get the pushing of the alternator to the rear of the mount. Page 5 has a pic of the Yorker modified a wee bit. Yes as matter of fact, I have the Luck o'the Irish...everything I touch turns to fertilizer of the bovine variety. So I'm looking at this bracket from a Diesel (part number 068903145B) and wondering if, instead of cutting up the old York bracket and hoping for the best, I might just scrap the whole stupid thing and use this one? Yes? No? I will see if I can find the pn of the pulley that they used as the non-VW one. That would be excellent. Thank you!